When I first opened my eyes to the world of beauty and makeup and possibility that I too, might be an attractive girl in my own right….there was the makeup of Billy B to guide me. 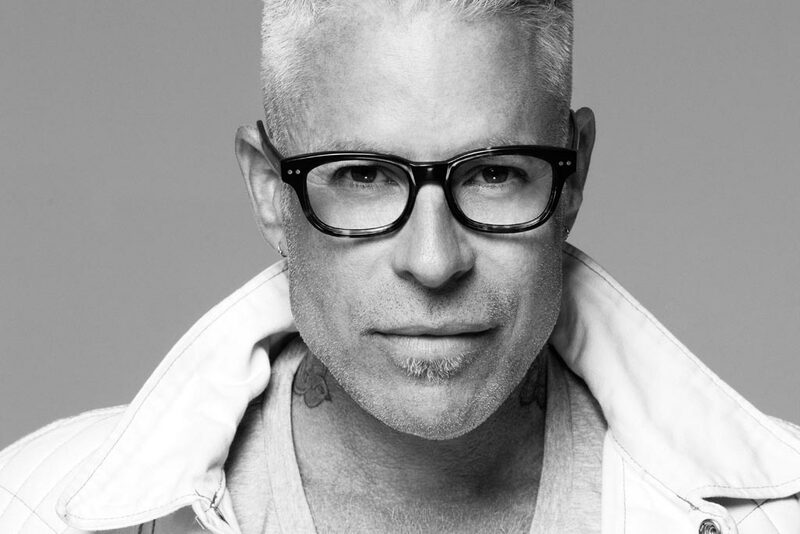 In case you don’t know, the celebrity makeup artist who today is beloved for his work on RuPaul’s Drag Race, who helped to make Lady Gaga LADY GAGA, thanks to his ingenious makeup work and creativity, was THE MAN with the makeup brushes behind the scenes of some of the most influential music videos of the Nineties and 2000’s. Missy Elliott’s She’s a B*tch. Destiny’s Child’s Independent Women. Mariah Carey Emotions. Lauryn Hill’s Ex Factor. TLC’s Waterfalls. HE DID THAT. Billy is a living legend, highly sought after for his talents. 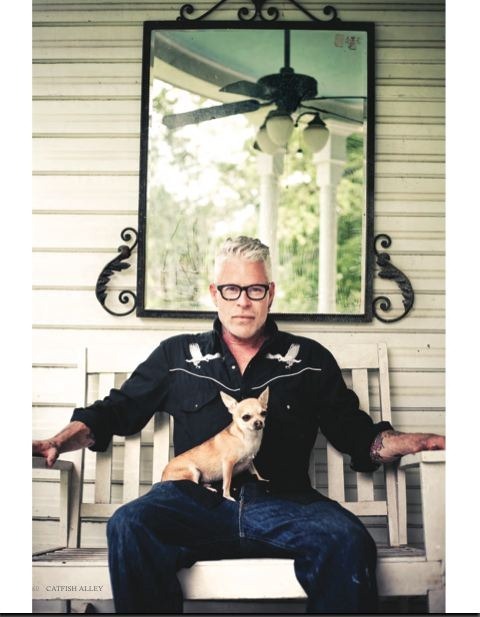 But despite all of the famous clients, he remains at heart a sweet country boy from Aberdeen, Mississippi. I have had the pleasure of meeting and interviewing Billy before – the first time was at The Makeup Show in Miami in 2008, before I was a full time beauty blogger! I can tell you from personal experience, Billy is a lovely person, self-effacing and genuine and wonderful. He has a big, magnificent, colorful personality and is never anything less than 100% himself. This interview covers a wide range of what makes Billy B an awesome guy. We talk about makeup for women of color, his incredible work on Jody Watley for A Beautiful Life, where his skills came from, and even the motivation that fuels his most recognizable work. The language gets a little more raw and real and Rated R than it usually is here on Afrobella, but HEY. It’s BILLY B. The man tells it like it is and pulls no punches. But I edited so bellas of all ages can still read this at work despite whatever filters there may be! Afrobella – Billy, you’re so well known to so many, but I always love beginning an interview by asking the artist to introduce themselves. For anyone who’s totally ignorant to the world of makeup, please tell us who you are, and what makes you such a well known, well respected makeup artist. 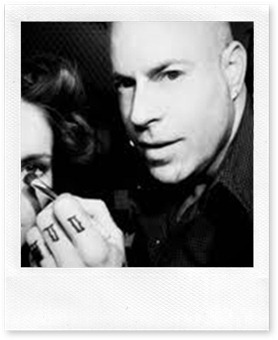 Billy B — My name is Billy Brasfield, but you might know me as Billy B. and for those of you that haven’t heard my name before, I am a makeup artist. I am from a small town in Mississippi called Aberdeen. I was born in 1963, I have 2 siblings, Pam who lives in Tupelo Mississippi, and 1 brother who lives in …. Um, I forget. UGH. That’s terrible. But it is true. I am self-taught, and that happened only because I lied to get a job at Macy’s Herald Square. Macy’s had an opening in cosmetics, I needed to pay rent, I taught myself how to do makeup, to keep my job. I have no idea, how the rest of the story happened, but I have been a makeup artist since. From my 20+ years as a makeup artist, I have become most known for being “a white boy that can beat the hell out of a “Colorful Face”. Missy Elliott, Mary J. Blige, Beyoncé, Well, name a woman of color and I have probably touched her face at least once. … I even did Juanita Bynum. See, told you. Afrobella — For me, your work on women of color has been so incredibly inspiring. From Missy Elliott to TLC to Lauryn Hill to Beyoncé and now Jody – you’ve worked with so many icons in black music. As a makeup artist, what do you love about working with women of color? Billy B — Thank you very much! I like a challenge. Ok, that doesn’t sound right (giggle) but when I was working on the Main Floor Cosmetics at the Ultima 2 counter, Flori Roberts was across from us. The girls at FB were a whole lot more fun than my counter 😉 (although we did have a fierce b**** named Priscilla at our counter. She was the s***. We used to do (let’s say less than legal) things in the stock room. (Don’t hate, it was the 80’s) I lived for her, but I couldn’t learn anything from her because Ultima’s darkest color was “off white” ha ha But over at FB honey, COLOR!!!!!!! So anytime we got an “other than white” girl at Ultima, I took her over to FR and beat the hell out of her. I made it my business to learn. I had 0 knowledge of makeup. I mean Zip. So I’m sure I beat a GREY face more than once…. Maybe twice…. 1. Every woman of color has a unique skin tone unique to them, and the range of skin tons is endless. 2. When doing makeup for women of color, think out of the box. The most artificial colors can look perfectly natural on darker skin. 3. Darker skin tones LOVE makeup. You can paint paint paint and it still looks great. 4. When you are a makeup artist doing female celebrities of color, catering is better. I am very proud of the work I’ve done with women of color! Afrobella – What tips and advice do you have to share in terms of makeup for women of color? Any favorite brands in terms of foundations? Billy B – I like Black Opal Stick foundation and Face Atelier Liquid foundation. Women of color can get away with heavier cream foundations, and some need it. Many women have several different shades of brown happening between the forehead and the neck…and some women want to even that out into one uniform shade. Maybe that’s why back in the day, there were primarily heavy liquid or crème stick foundations available. Now I think women of color approach their look differently. In many ways I think they have been “liberated.” More women are celebrating their differences instead of “blending in”. 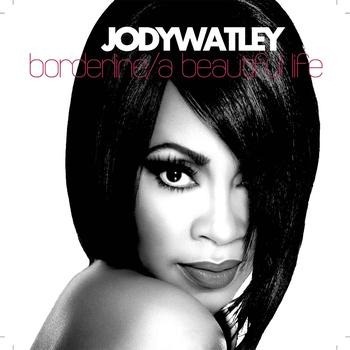 Afrobella — Talk to me about Jody Watley. I realize not every makeup artist becomes friends with their celeb clients, but you and Jody certainly seem to be more than just client/artist. There’s a love and camaraderie there. How long have you known each other? What was your first project together? Billy B — I have loved Jody’s work for years, but that changed the day we met. I fell in love with Jody as a person, a Human Being. 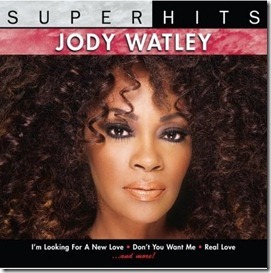 Jody Watley isn’t and has never been typical. The fact is that Jody is exactly the opposite., she is exceptional. I love her for that. I don’t “friend” my clients, to be brutally honest, I have more to gain from them as a makeup artist. I made a conscious decision to pursue knowing Jody. My admiration for her as a person was strong enough, that I was willing to blur the line that I had “drawn” to keep a safe professional distance from my clients. But I knew I could with Jody. I knew I could benefit from her STAR. Not her fame, but I wanted to be in her light. Jody Watley is a Star. She is one of the brightest Stars I have had the pleasure of knowing. She Is everything I live for in a female… She is kind, clever, talented, funny, stylish a devoted Mother on top of course an iconic POP STAR! Its almost too much for this middle aged homosexual to bear. “snicker” God given beauty, incredibly good taste, face painted, hair snatched, sickening choreography, need I list anymore??? I didn’t think so. I don’t know if I have ever said this to her, but she should be very proud of that. Its not easy to do. I mean, how many artists, years later can say that their name is literally used as a fashion or beauty reference. 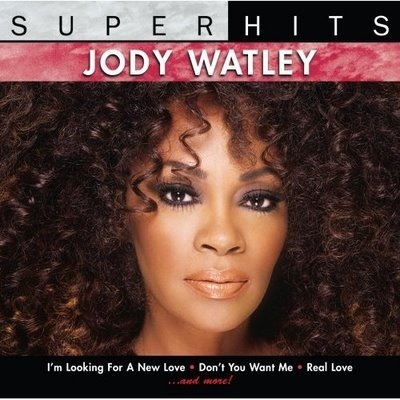 Yes honey, give me Jody Watley. A classic door knocker hoop earring. 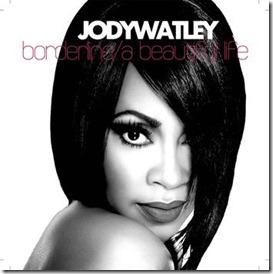 Afrobella — A Beautiful Life is a beautiful showcase of Jody — of how iconic her look is. She’s such a classic beauty. What was the vision going into this project? 1. Prove to Mr. Ruiz that he hired the right makeup artist for the job. 2. Honor and respect Jody as the Icon that she is by respecting her classic Jody Watley look, while also thoughtfully encouraging and guiding her to also depart from that look and create some new iconic looks for the kids that would be seeing Jody for the first time. 3. TURN HER OUT because I know every f** on the planet is going to be gagging at How SICKENING SHE LOOKS in the video. 5. .And as always, a big part of my motivation is to help create something exceptional that people will notice, and admire. 6. For me, there is great personal satisfaction because , I consider every job that I do as a makeup artist as a big “f*** you” to everyone who ever called me a sissy or f***** or stupid. 7. Who is a stupid f***** now? A******. 8. I worked with Jody Effin Watley. And you didn’t. Afrobella — I’ve never had the chance to meet him, but I’ve seen photos and he’s so extremely accomplished. He’s also distractingly handsome. What is it like working with Mike Ruiz? Afrobella — I know you’re always working on something amazing and usually top secret, Billy — what’s next for you that you can talk about? 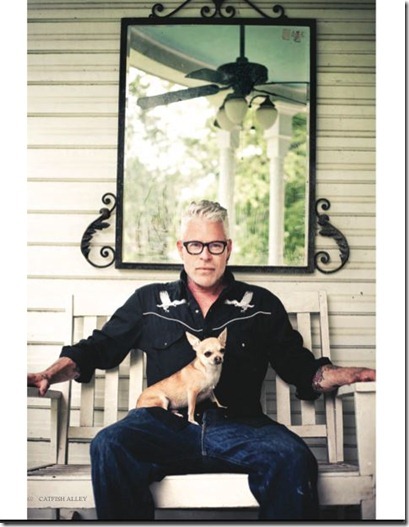 Billy B — Lord Have Mercy…. I am dying to tell you, but VERY soon! VERY soon. Buckle your Beauty Belts its gonna be a fun BEAUTIFUL (wear,watch and read) ride. Just saying! Afrobella — I am sure you’ve been asked this one million times but here goes — any thoughts on a Billy B Beauty line? What would your products look like? And can your eager fans expect any news on that front anytime soon? How soon? How about RIGHT NOW? Bellas and fellas, announcing Billy B’s new AWESOMENESS – Billy B’s brushes will be launching with Beautylish sometime this summer! That’s SO SOON! Click here to check out the launch page for what’s sure to be THE must-acquire brushes for dedicated makeup artists. “I am thrilled to announce that Billy B Beauty Paintbrushes are available again exclusively at Beautylish. When I designed the brushes, eyelash curler and Lash and Brow groomer it was with a Makeup Artists in mind…..ME… Billy B. I designed them for myself to work with. I was frustrated with what was available in the market and I had been modifying brushes for years but trimming them to change the shapes, and using brushes in ways they were not intended. I designed brushes that worked for me. I created brushes that were more compact, and more precise. When I would work with them, people liked them and asked where they could get them. I decided to sell them. I had no idea how much work it was going to be. Because most of the sales were to professional makeup artists or makeup junkies, it was extremely important to me that I provided more than exceptional customer service. I was involved in every aspect of the process and soon it was too much for me to manage with my schedule. I chose to take the brushes off the market, when realized it was impossible for me to provide personal attention to every person who purchased a brush that had a question. I feel like my customers deserved that. SO awesome! 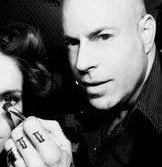 I love Billy and I LOVE Beautylish! Win win WIN. And YAY — June 18th 2-3:30 Billy B will keynote The Makeup Show Chicago!!! You KNOW I’m there. Can’t get enough Billy B? Click here to check out his website, click here to check him out on Beautylish, click here for his Facebook, his YouTube channel, and click here for his Twitter – no matter where you follow him, he’s a riot! For even MORE Billy, do yourself a favor and watch Erin Scandalous’ AWESOME interview with Billy! Thank you for being a friend, Mr. Brasfield! I’m honored to know and love ya! The Black Opal foundation stick is truly a great foundation. I really enjoyed the interview!!! Wow, just his responses are sending me straight to his YT channel. Thanks Patrice for the education. This was a great interview! Billy B is pure fierceness. His work on RuPaul alone is award worthy. Loved his candor and sense of humor. I also have to check out the Black Opal foundation stick. Billy B. is such an amazing and talented man. I can tell he has a passion for his work and that passion shows up on his amazing creativity and on the faces of his clients. I’m glad he is having his own line of make-up brushes. Thanks for the interview with such a talented man.